Citation: Ghanei N, Bidaki R, Ardakani ME. Onychomadesis: Clinical Image. Skin Dis Skin Care. 2016, 1:1. Copyright: © 2016 Ghanei N, et al. This is an open-access article distributed under the terms of the Creative Commons Attribution License, which permits unrestricted use, distribution, and reproduction in any medium, provided the original author and source are credited. Arrest of nail matrix is commonly occurred following some of systemic diseases, psychological stress or drug exposures. When nail matrix arrest partially produce transverse ridging of the nail plate (Beau's lines), and onychomadesis is longer-term nail growth stopping or complete nail matrix arrest causes to nail shedding from the proximal part . Onychomadesis is presented in three patients as a result of hand-foot-mouth disease. All children showed history of infection as fever and upper respiratory tract infection. 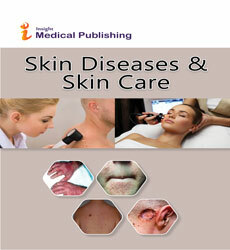 They involved with oral rash and cutaneous rash in buttock, hands and feet. 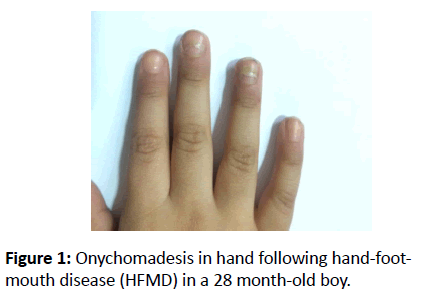 Figure 1: Onychomadesis in hand following hand-foot-mouth disease (HFMD) in a 28 month-old boy. 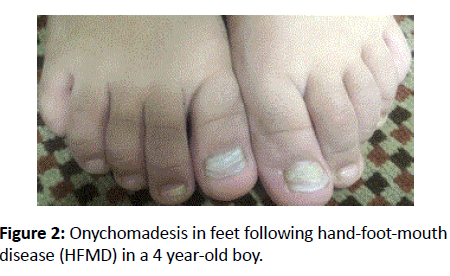 Figure 2: Onychomadesis in feet following hand-foot-mouth disease (HFMD) in a 4 year-old boy. 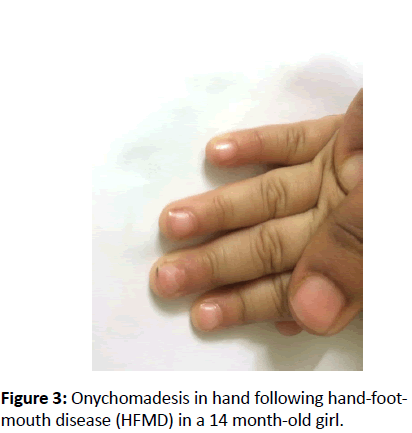 Figure 3: Onychomadesis in hand following hand-foot-mouth disease (HFMD) in a 14 month-old girl. Bodman MA(1995) Miscellaneous nail presentations. Clin Pediatr Med Surg 12: 327-347.